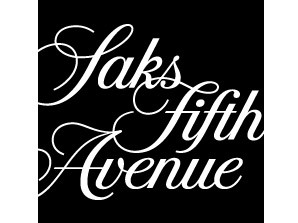 SAKSFifthAvenue.com- Free shipping with any purchase. -Read articles regarding SAKS Fifth Avenue: $50 off a $200 Beauty Purchase, 20% off Plus 16% Cash Back, Free Tom Ford Soleil Blanc, and Thanksgiving, Black Friday, and Cyber Monday 2018 Deals. -You can stack up to 5 eligible promo codes on every order. Only one discount code will load. –Sign up for emails and receive an exclusive offer for 10% off your next order and be entered into a contest to win a $1500 shopping spree. -Shop the New Releases and Sale. -Beauty Gift With Purchases are always available and there is almost always a general offer.